I recently met with a senior couple that had lived a fruitful and financially successful life together. They obviously cared for each other and had two children who were concerned with their welfare. The love family members felt for each other was very touching. Unfortunately, the wife "Jane" had been diagnosed with Alzheimer's disease in 2009. Her condition had deteriorated to the point where she had been placed on medication to control combative behavior. The family worried that Jane would wander out of the house and had put locks that she could not reach on the doors. Jane hadn't signed, while she was still competent, powers of attorney giving anyone the power to manage her financial affairs or to help her make healthcare decisions. By the time I saw her, she could not sign her name. Jane's family could face expense and difficulties without the benefit of these documents. Providers, hospitals and other healthcare facilities have become increasingly more comfortable bringing up the subject of living wills with patients, yet the topic of creating a power of attorney document isn't often part of routine care discussions. However, like a living will, the time to appoint a power of attorney is before you actually need one. Powers of attorney are documents that give someone (the "attorney-in-fact" or "agent") the legal right to act in place of another (the "principal"). In Tennessee there are two types of powers of attorney: (1) a "general" power of attorney that gives someone the ability to make financial decisions, execute legal documents, pay bills, and handle other financial matters; and (2) a power of attorney for healthcare, which appoints someone to make decisions about health matters. Both types of powers of attorney are often called "durable" powers of attorney. That means that they continue in effect even when the principal has become incapacitated. Obviously, that's a good thing, since that's precisely the time that your patient needs the assistance of an agent. Powers of attorney can be effective immediately when signed, or they can become effective later when the principal becomes incapacitated. For example, powers of attorney can be drafted to require a determination by a physician (or even two physicians) that the principal is incapacitated before they are effective. This type of power of attorney is called a "springing" power, because it springs into effect at a designated time or event in the future. Whether patients need a power of attorney that's effective now or only in the future when they are incapacitated depends on the situation. If someone is in in a stable marriage with a trusted spouse, a power that is effective immediately might make the most sense. I have a friend whose brother is a firefighter in another city. She asked him to make the power of attorney for healthcare decisions effective now. My friend knew that if her brother were injured, hospitals wouldn't disclose to her whether her brother had even been admitted without a current power of attorney. The alternative to a power of attorney could mean a court proceeding to have a conservator appointed. Conservatorships are expensive and time consuming, requiring up to three lawyers to manage. 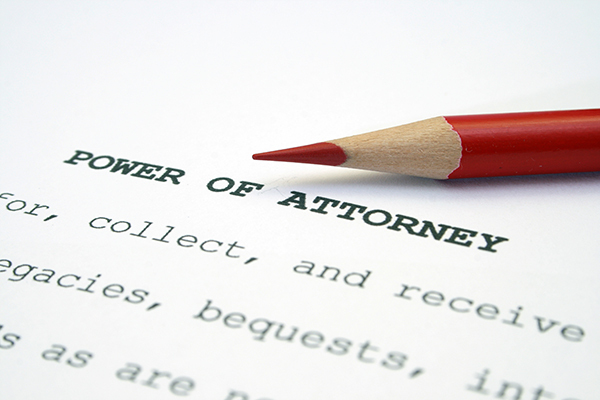 I'm often asked about whether people need to consult a lawyer to get a power of attorney. I haven't spent a lot of time checking the legal websites to determine the quality of their forms. However, I do know that recently some friends were trying to prepare a power of attorney for their father, who was in the hospital with congestive heart failure, so that they could pay his bills. I looked at the legal form they had gotten off the web, and it would not have been accepted by any bank. Properly drafted and executed powers of attorney are not that expensive and are an important component in your patients' planning for aging and potential incapacity. 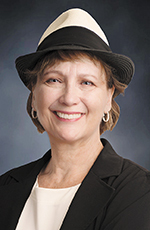 Barbara Moss is an elder law attorney and founder of Elder Law of Nashville. She focuses her practice on the legal needs of seniors and those in need of long-term care. Moss is recognized as a "Super Lawyer" in the field of Elder Law, has been named by her peers in Nashville as "Best of the Bar," and is included in The Best Lawyers in America©. She is also an Accredited Attorney with the Veterans Administration. For more information, go to elderlawofnashville.com.